The day-long Short Course for Publication Management focused on educating first time journal editors about their role and the challenges they face while simultaneously providing new perspectives for experienced managers. Topics included how to lead, especially in a disaster; managing communications and building a team; journal production; managing your editor(s); and understanding the role of scientists in publishing. Managing editors and publication managers communicate both to and with a variety of users. Whether staff, editorial boards, vendors, authors, or reviewers, it’s our task to identify and address the differing needs of these communities. Ken Heideman first discussed strategies to help us succeed as managers. He presented Maslow’s Hierarchy of Needs as an analogy for the workplace. This model, represented as a pyramid, lists five levels of human existence, with each level needing to be satisfied before moving to the next higher level. The three bottom levels of the pyramid are basic needs, safety needs, and psychological needs, with the top two levels being self-actualization and peak experiences. An analogous pyramid can be imagined for the workplace. For your staff to rise to the top of the pyramid (namely, to be creative and independent and to provide leadership and vision), you must first help them to establish core competencies and provide them with the basic tools and training they need; only with that solid foundation can they then thrive and excel as integral members of your team. How can we get our staff to the top of the workplace pyramid? Suggestions from attendees indicate that managers should provide constructive feedback, even when difficult; be consistent in their responses; be trustworthy, so that staff can communicate their needs; and be both physically and emotionally present. Heideman also shared his personal motto: “Manage Consciously. Consciously Manage.” As a leader, you should manage in a way that reflects your values and supports your employees. Think about the various supervisors you’ve had and make an effort to incorporate their best traits into your managerial style. Seek out management training, attend leadership conferences, and identify a leader who inspires you. Above all, recognize that you’re not going to be a great manager on day one. You’ll develop these skills over time, and if you manage consciously, your staff will give you the time that you need. If you lead effectively and support your bottom tiers, your staff should feel empowered to take on challenges and grow in their roles. Next, Patricia Baskin presented tips for managers to communicate positively and enthusiastically, lead team-building exercises, and focus on efficiency and time management. It’s important to provide clear instruction, have positive goals and targets, and display enthusiasm for your staff’s talents. Because the unique perspective that each member brings to the table strengthens a team, you need to hire a diverse group. However, this brings additional challenges, and you should consider how different generations, cultures, and skill levels can influence your workplace. Baskin suggested considering nontraditional work environments, offering training and support, and understanding that a single approach won’t solve all problems. Baskin also presented techniques used to reach group consensus and increase efficiency in the office. Make the most of meetings by keeping them short (implement standing meetings, or walking meetings if there are only two people), providing agendas, discussing important items first, and summarizing outcomes in writing. It’s key to focus on efficiency so that you can create the time to assess the health of your staff and your publication. Switching gears, Nancy Devaux discussed the processes involved in article and issue production from the vendor’s perspective, as well as maintaining a positive relationship with your production vendor. Ideally, your production vendor is an extension of your office. Communicate with the vendor’s staff as if they are part of your staff. Let them know when things are going well and when problems exist. Be clear when developing new projects and provide the details that they need for implementation. Understand that workflow changes, new initiatives, and regular production are scheduled and require a standard amount of time to complete. If you expect something out of the ordinary (e.g., special collections, new article types, schedule delays, new editorial staff), communicate these needs in advance. 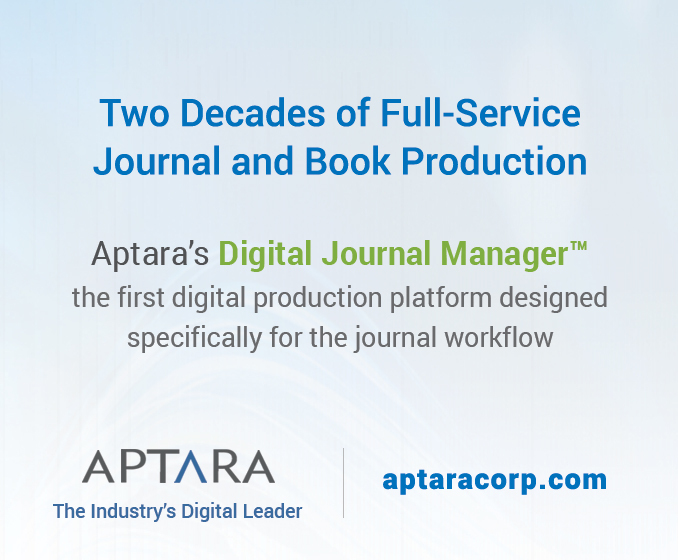 Clear lines of communication between you and your vendor help to strengthen your relationship and will contribute to efficient journal production. Finally, Amy McPherson and Denis Baskin provided different perspectives on the needs of your editors, authors, and reviewers. Publishers rely on editors for their expertise, and we expect them to be fair, constructive, and responsive. However, for editors, the journal is usually only a small part of their professional life, and we need to support them and provide regular feedback. Editor training and handbooks, yearly report cards, and term limits are excellent ways to assist editors and prevent burnout. 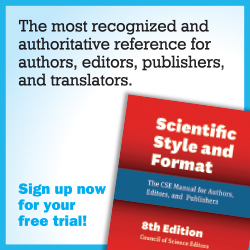 Most editors, reviewers, and authors may not fully understand how the publication process works and would prefer for things to be simple. 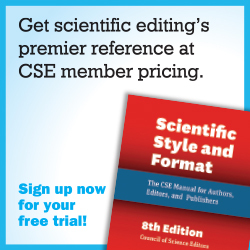 The editor-in-chief is interested in your journal’s overall quality but not necessarily in the steps that are needed to get there. The role of the editor-in-chief is to set the editorial policy for the journal, raise the journal’s level of excellence, and make a difference in the field. To allow your editor-in-chief to focus on these tasks, you need to play to each other’s strengths. As a managing editor, you must be a professional partner and colleague. Always be aware of and communicate what is happening in the publishing world. Understand your journal metrics and ways to address problems before they develop further. 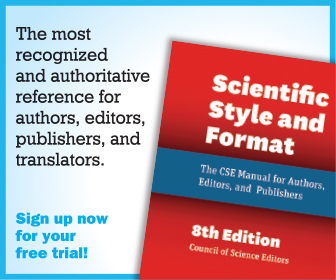 Manage your staff and office, maintain the confidentiality of the peer-review process, stick to deadlines, and know when to involve your editor-in-chief. After all, running a journal is the managing editor’s full-time job and not that of the editorin-chief.